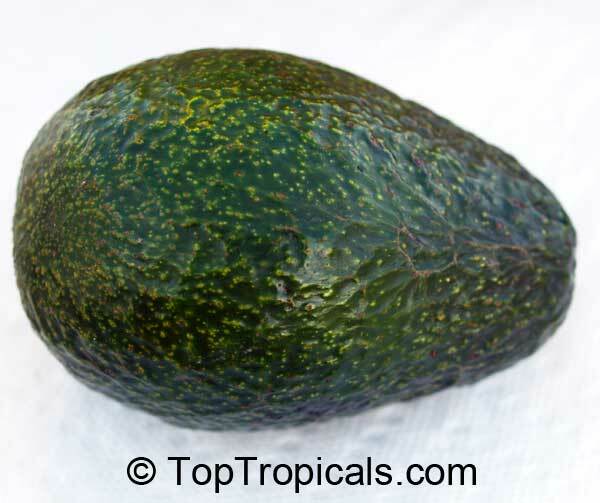 4112 Persea americana - Avocado Winter Mexican, Grafted ? Winter Mexican variety is one of most cold hardy varieties, Guatemalan x Mexican origin. Mature trees may withstand temperatures in the mid 20s. 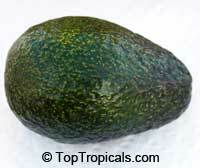 Oblong fruit, 12 to 18 Oz, thick green skin, medium seed. Tree bears in December-January. Very vigorous tree, bears heavily and regularly.